;Hello everyone, trust we’re doing awesometastic! It’s such delight to see November is almost over, God is faithful. If you’ve followed my blog closely you’ll have seen me share about depression and my experience, however, I came to know a truth which is so illuminating and I’ll be sharing that with you. It saddens my heart to see so many people trying to use things to fill voids only God can fill, I look and wonder, what a fruitless venture. I’m not judging, I was like that until I received clarity. I used to think I had depression until the Holyspirit made me realise I was viewing things from the false lens, hence my judgement of events and things were wrong. All I had to do was get the right lens to view life and submit my will and desires to God. God made me and I have been bought at such expensive price, He literally used His only begotten Son to purchase me! God made me for His pleasure, so I am a vessel to be used for His glory. I am the clay and He is the potter. I will only get frustrated when I want my will over His or get anxious thoughts which lead to depression when my plans are not in sync with His. All I needed to do was submit to His plans for my life because His plans for me are of good and not of evil to bring me to an expected end. Jeremiah 29:11. How do I know this? God knew me before He formed me, infact He made me with a purpose in heart when he created me and my responsibility when I got to earth is to ask Him the purpose and fulfill it by His help to His glory. I’m not saying depression does not exist, it does just like cancer and other illnesses. Infact, I appreciate organizations devoted to mental health and I’m a part of Mentally Aware Nigeria Initiative. I look back at the time I was “depressed” and I appreciate how at least this people can offer short term help to people who are going through their dark days. I believe it is helpful. This doesn’t mean that even when we receive God’s promises doubt and negative thoughts wouldn’t come, you just have to get your battle kit ready at all times and the enemy will flee! Hahaha A hot Christian is terror to the enemy, Satan and his cohort just tries to scare you and sadly, must times we succumb to His bully, however, if you know who you are and the authority you carry in Christ, He will run from you. How do you fight? By spending time with God studying the scripture and praying especially praying in tongues. Make praying a habit, it’s so addictive! I literally can’t function if I’ve not spent time with the Holyspirit daily. God is ready to reveal so much about your future, destiny and anxieties to you if only you’ll spend time with God. Guard your heart above all else, for it determines the course of your life. Proverbs 4:23. I am grateful to God for illumination and the light He daily floods me with. My old self has been crucifies with Christ. It is no longer I who live, but Christ lives in me. So I live in this earthly body by trusting in the Son of God, who loved me and gave himself for me. Galatians 2:20. We will definitely go through challenging situations but we should view it also from God’s perspective. God doesn’t hate us when we go through difficult situations. He uses those situations to groom us and make us develop into the full stature of Christ. 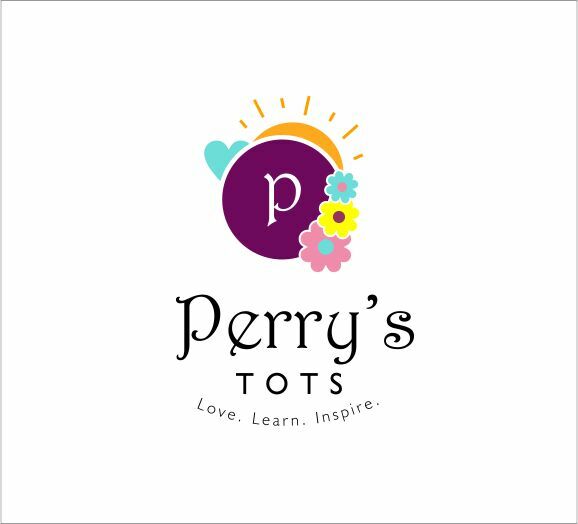 Kindly Subscribe to Perry’s Tots via mail and follow us on all our social-media platforms @Perrystots, the conversation continues there. It’s time for another edition of 31Days 31Voices. The year I started my blog, I began the series #31Days31Voices. I remember how excited I was when I got the idea, I did a voice-note and sent to my friends on my Blackberry Bold 6 to invite them to share their stories, this was also my only blogging tool at the time. I wanted a series where people could take deliberate steps to reflect and review their year and make conscious decisions to either make better choices or solidify choices made. I also wanted people to share the lessons they learnt that year and most importantly, I wanted everyone to share their testimonies so others could be inspired. Did you learn from a bad or good choice you made in 2018? Do you have an inspiring testimony or story in 2018? Did you stare your fears in the face and just do it in 2018? Did any change occur in your life by an action you took? If you answered yes to any of the questions above,then you should share your experience with us on this year’s edition of #31Days31Voices, you might just inspire the world with your story. • There is no restriction on number of words, however, the use of abbreviation is discouraged. • Attach a picture of you or one that describes you.